Texas traffic laws are constantly changing. New research is done and new developments are made that can help keep everyone safer. Even if you think you are following the law, you may be surprised to find out that you are not. What does this mean for you? It could mean potential tickets and fines. Well, you need to stay informed. 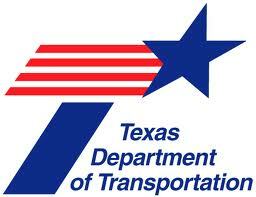 Always check with the Texas Department of Transportation and pay attention to the news to make sure you are up on all of the latest laws. Because if you get pulled over, the excuse, “I didn’t know about it.” will not get you out of a ticket. But that can take a lot of time. It is true; staying informed does take some effort on your part. That’s where we come in. We compiled a few of the newest Texas traffic laws for you. However, this is not a complete list (hey, we can’t do all the work for you), so please make sure to do some additional research. Hopefully you already know that it is the law that you need to either move over or slow down if there is an emergency vehicle with lights flashing on the side of the road. That has been a law for a while. However, now you also need to move over or slow down for tow trucks. If you don’t move over a lane, you must slow down to 20 mph less than the posted speed limit. There have also been a lot of updates on the speed limit laws in the state recently, and they are probably going to make you happy. The biggest news is that the speed limits on state highways are going to be increasing from 70 to 75 miles per hour. Just make sure not to go any faster than 75. It is also important to realize that updating speed limits is a process, so always follow the signs that are posted. Just know that soon they will all be 75. Another big change in the speed limit department is that trucks no longer have separate speed limits, and the day or night speed limits have also disappeared. These laws make it much simpler to follow the law: All drivers during all hours of the day have the same speed limit. This law only affects drivers under the age of 25, but it is definitely worth noting. If a driver in this age range gets cited with a moving violation they will be required to take a four-hour safety driving course. This is not an optional course to remove points from the record, but a must-take course to help reiterate the importance of following the law. So unless you want to pay a fine and take a four-hour course, you better pay attention on the road and drive defensively at all times.